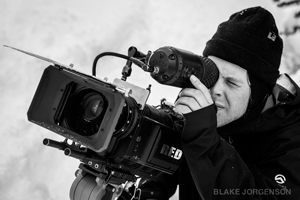 Leo Hoorn, Cinematographer and Editor at Sherpas Cinema, was born in Smithers British Columbia. Growing up, his skate background led him to snowboarding and filmmaking followed soon after. He’s got a world class shooting eye and the backcountry skills to follow the athletes we work with. Leo joined the Sherpas in late 2010, swooping in to save the day during the editing of All.I.Can, and he’s been an invaluable team member ever since. He’s equally at home in the Alaska Range and the editing suite. His ability to carry massive loads and MacGyver innovative camera setups with only a heli strap is legendary. Leo currently resides in Whistler, BC.